Internews empowers people worldwide with the trustworthy, high-quality news and information they need to make informed decisions, participate in their communities, and hold power to account. Our vision is to unleash human potential everywhere by turning on the bright light of information. For more than 35 years, in more than 100 countries, Internews has worked to build healthy media and information environments where they are most needed. 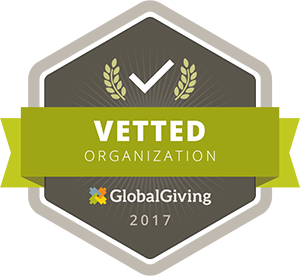 We have proudly incubated hundreds of sustainable organizations, bolstered the skills of thousands of media professionals, activists, and citizens, and helped these partners reach millions of people with quality, local information. Internews, an international nonprofit organization, operates with administrative centers in California, Washington DC, London and Paris, as well as regional hubs in Bangkok and Nairobi. Formed in 1982, Internews has worked in more than 100 countries and currently has offices in Africa, Asia, Europe, the Middle East, Latin America and North America. Internews is registered as a 501(c)3 organization in California, EIN 94-3027961, in England and Wales as a Charity no. 1148404 and Company no. 7891107 and in France as Non-Profit Association SIRET no. 425 132 347 000 13. We are curious and responsive, driven by a spirit of creativity and innovation. We value open communication and dialogue. We treat each other kindly, collaborate, and support each other. We build trust, hold ourselves to a high standard, and don't give up. We are passionate about improving lives and creating positive change in the world. We approach our work with enthusiasm and love what we do. For 35 years and in more than 100 countries, Internews has worked to build the capacity of local media and information partners. Learn more about our rich history here.